We are a single car family and have been so for five years. This is seen as a sacrifice by some, especially my own father who has four vehicles of his own and just married a woman with two more. To me, living with one car is a convenience. I work from home and we live in a small town where almost everyone can walk to work, school, and the beach. Weeks go by when I don’t even get behind the wheel. This is all about to change as we move across Canada to eastern suburbia. Though we’re excited about the change and the opportunity to be closer to family, my husband insists that we’re going to need two cars. I think “need” is too strong of a word, though I’m close to admitting that it will be difficult living with one car when the kids get older. Still, I want to try, and this is one eco-battle/financial scrap I’m determined to win. Here are our arguments. What do you think my chances are? I’m no longer too cool to take public transit in my old hometown and this is a more eco-friendly choice. I’d have to work twice as much to pay for a car payment and insurance, which would mean getting daycare. We’re moving to a street that is half a block from the elementary school and a few parks. The kids will hopefully be able to make friends in our neighbourhood. We feel better when we walk. The grocery store, mall and post office are all within a half hour’s hike. If we have an extra car we’ll use it too much and spend more money. There will be times when you want to visit your family and I want to golf. The kids will take classes or be on teams on opposite sides of the city. I’ll have the car all day at work and you’ll feel isolated. We’ll always be bugging people to let us borrow their car. We can just keep one good car and get one beater. If we have an extra car we won’t fight about who needs to go where. 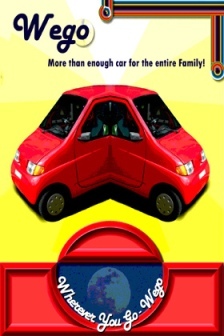 Just face it, we’ll need two cars. Just looking at this list reminds me of arguing with my teenage brother about who should get the car on a Friday night. The house we are moving into is only a temporary solution until we decide exactly where we want to live. At the least, I hope that staying a single car family will factor into our decision when we choose a more permanent location. Do you have any tips on how to be a one car family in the suburbs? Please share! Eco-Friendly Family Vehicles: Urban Legend? My husband and I have been a single car family for about a year and a half now. We’ll be giving that up soon, however, as I’m expecting baby #3 and the current car has only 4 seats. No place to put the baby in the current setup! Public transit doesn’t get close enough to some of the places I’d need to go with a baby (doctor’s office! ), for yet another reason. But in your case, I’ll bet you’ll cope fine with just one car. I also work at home, and isolation probably won’t be a problem in a new area for any longer with one car than with two. It takes time to make friends. As for wanting to do different things, choices will just have to be made, as always. It’s a great way to be sure you’re prioritizing your life. And if your family is like mine, they’ll be all too glad to drive themselves to visit the kids if that’s what it takes. What about alternatives like electric two wheelers? In this blog you can discover more about it. You both have very good points, I am sure if you take some time to settle in to your new dwellings you will figure out the answer. Another option you may want to look at is renting a car for the times when you both want to go somewhere separately. Just a thought! Yes, renting a few times a year would be a cheaper option for sure, Tammy! I’m pretty positive I would “need” a second car if we had three kids or more. At least if I ever wanted to get out. Our 4 year old still goes in the double stroller (5 bucks at a thrift store and it is one of my most prized possessions in life-ugly but lightweight and tons of basket room for groceries and library books) for our long walks and I don’t care if people think she’s too old. We have so much fun and she walks when she feels like it. When she’s 7 things may get more difficult! Hey guys! A good argument I may say. You know,A bus pass will work anywhere in the city and it is eco-friendly. Are you excited already. Well we are not happy you are moving, that we will miss you especially the children.Good luck,though. YOU CAN ONLY MOVE FORWARD. Thanks, great neighbour! My old next door neighbour just read this post too and informed me that transit has improved in the old hometown! It won’t be as easy as this town, but I’m still hoping to give it a chance. Most of all, I’ll miss being able to walk to the library.